Handcrafted American Indian man. His body is stuffed fabric. He is wearing a long shirt, shawl and long pants. His clothing is decorated with cross-stitched Indian symbols. His face (eyes, nose, and mouth) are also created with cross-stitch. He has a colorful crocheted bag on his side. 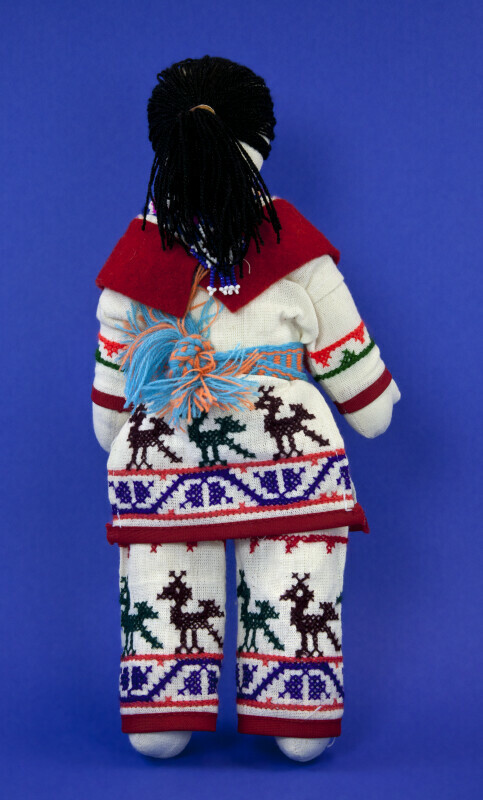 The figure stands 12 inches (30 cm) tall.